In stock -This product will ship today if ordered within the next 8 hours and 39 minutes. Baking Soda is plain bicarbonate of soda, a top quality leavening agent, used in combination with acidic ingredients for baking. 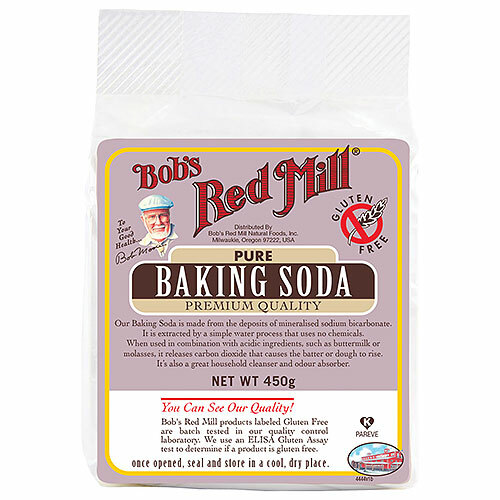 Bob`s Red Mill pure baking soda is made from the deposits of mineralised sodium bicarbonate. Use in combination with buttermilk, cocoa, and other acidic ingredients for baking. It`s also a great household cleanser and odour absorber. 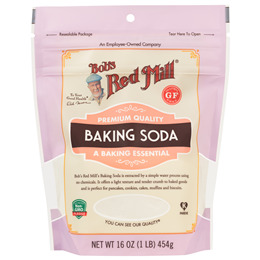 Below are reviews of Bob`s Red Mill Baking Soda - 450g by bodykind customers. If you have tried this product we'd love to hear what you think so please leave a review.